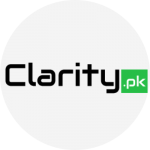 Home Knowledge Base Business How to register a company in Pakistan manually/offline? [Updated] The tried and tested way of Company registration is the offline (manually) way. Its usually carried out by professionals of the field and is preferred for big companies and those with lots of dependencies, foreign investments, etc. otherwise for a regular startup, an online procedure is still a good option. Fast Track: 2-4 weeks and sometimes over a month depending on the nature of company organization and paperwork delays. An application to the Registrar is made on SECP prescribed form for availability of the proposed name by mentioning objects of the company on that. Requestor is needed to attach attested copy of the CNIC and the paid challan receipt in original with the application. Rs. 735/- for urgent process. The Challan Form is to be generated from SECP’s website and paid in MCB’s prescribed branches. The SECP will process the ordinary application in two to three days and urgent application in twenty four hours and issue a Name Availability Certificate. Once you have received the Name Availability Certificate, generate a Challan Form of requisite fee from the SECP’s website in accordance with the SECP’s fee schedule. The fee can be paid in prescribed branches of MCB. You are now ready to prepare documentation for filing. Form 1 – Declaration of compliance with the pre-requisites for the formation of a company. Special Power of Attorney of a person to make filing or to remove deficiencies in documentation, if any, raised by the SECP. Paid Challan receipt in original. Form S1 – appointing at least two individuals to act as nominee director and alternate nominee director, of the company in case of the director’s death. After receiving all documents, SECP will issue an Incorporate Certificate within two to three days in case of ordinary process and in twenty four hours in case of urgent process.